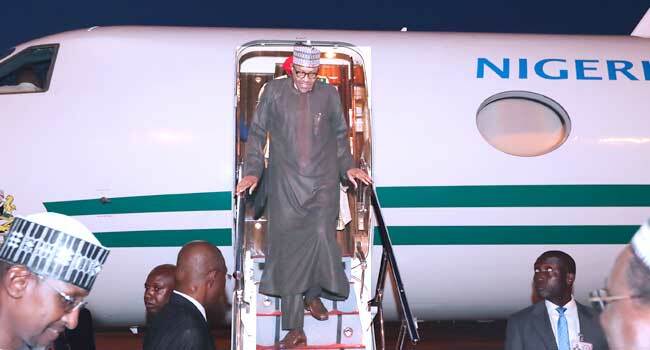 President Muhammadu Buhari returns to Abuja from the United Kingdom at the Presidential Wings of Nnamdi Azikiwe International Airport Abuja. PHOTO: SUNDAY AGHAEZE. His aircraft touched down at Nnamdi Azikiwe Airport in Abuja by 7:00 pm today.